Can a Relationship Be Transformed? S (Scripture): Phileomon 1:14 I didn’t want to do anything without your consent so that your act of kindness would occur willingly and not under pressure. 15 Maybe this is the reason that Onesimus was separated from you for a while so that you might have him back forever— 16 no longer as a slave but more than a slave—that is, as a dearly loved brother. He is especially a dearly loved brother to me. How much more can he become a brother to you, personally and spiritually in the Lord! 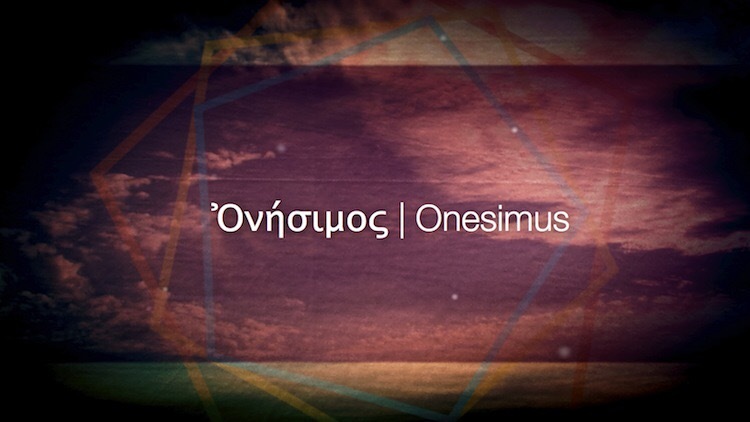 O (Observation): Paul adopts Onesimus – Philemon’s slave – as a follower in Christ. Paul treats him like a brother. Now, Paul entreats Philemon to consider taking Onesimus back not just as a slave, but as a brother. Paul encourages Philemon to think about how much more Onesimus would be as Philemon’s brother in the Lord. A (Application): Can a relationship be transformed? Yes. Does our past have to define our future? No. In Christ, we can welcome all people from all walks of life. We welcome all to know of the grace we’ve received in the hopes that they, too, would wish to receive this same grace. In receiving the grace from God, parties become open to a new possibility of a transformed relationship. We wish that all would become brothers and sisters in the Lord! But if not, we will still show a neighbor’s love. P (Prayer): Lord, direct our relationships to wholeness. Bring us together. Amen. This entry was posted in Digging Daily and tagged Onesimus, Paul, Relationships, Transformed. Bookmark the permalink.